Barely hours after Reuters reported that CEO of the airline had said they expected preliminary results from the crash probe, Ethiopian has described the report as misleading. An official statement issued on March 26 said the airline was in line with international standards waiting the outcome of the probe stressing that its CEO had not made the said claims. “We, at Ethiopian strongly refutes recent reports which state that Ethiopian GCEO expected the preliminary release of a report into the March 10 crash of its Boeing 737-8 MAX “maybe this week or next week”. Ethiopian GCEO did not say anything about the time the investigation report will be released. Ethiopian Airlines Chief Executive Officer Tewolde Gebremariam said on Monday he expected the preliminary release of a report into the March 10 crash of its Boeing 737 800 MAX “maybe this week or next week”. Tewolde told Reuters the airline may or may not attend a briefing in the United States by Boeing about a planned update to software that is a focus of investigation in two deadly crashes that have prompted worldwide groundings of the 737 MAX. The spokesperson of the airline Asrat Begashaw had earlier told Reuters that the company has ‘no immediate plans to attend’ a meeting in the United States called by planemaker Boeing to tell aviation leaders about a planned update to software that is a focus of investigation in two deadly crashes. Boeing Co says it has invited more than 200 global airline pilots, technical leaders and regulators for an information session on Wednesday as it looks to return its 737 MAX model to commercial service. Tewolde also said the airline’s relationship with Boeing was sound. Indonesian airline Garuda on Friday became the first airline to publicly announce it was planning to cancel a $6 billion order for Boeing 737 MAX jets because some passengers say they would be frightened to board the plane after two fatal crashes. The 737 MAX was Boeing’s fastest selling jet before an Ethiopian Airlines crash near Addis Ababa on March 10, five months after a Lion Air jet plunged into the sea in Indonesia. Meanwhile, in the United States, American Airlines pilots prepared to test Boeing Co’s planned software upgrade for an anti-stall system on MAX simulators this weekend, saying they want their own safety guarantees on the fix. In a space of 24-hours, Ethiopian Airline has issued two press statements pointing out what it says are false reports by two American media outlets – the New York Times, NYT; and Washington Post. On Thursday, the airline said it was disappointed at a report carried by the New York Times which suggested pilot of the ET 302 was not properly trained. The article titled “Ethiopian Airlines Had a Max 8 Simulator, but Pilot on Doomed Flight Didn’t Receive Training,” reported that the airline was complicit in the crash but Ethiopian insisted that its pilots had completed all necessary training for the planes they handle. “We urge all concerned to refrain from making such uninformed, incorrect, irresponsible and misleading statements during the period of the accident investigation,” the statement read in part. Early Friday morning, the airline issued another statement in response to an article published a day before in the Washington Post. The statement underscored the high level of training and safety standards that the airline has committed to over the past decades. “The airline has invested more than half a billion dollars in infrastructure only in the last 5 years which is not common in a typical global airline,” the statement added. As in the case of the NYT statement, they stressed the need for all stakeholders to wait for the outcome of the probe currently underway to ascertain the real cause of the crash. It accused the Washington Post of trying by their story to divert attention from the real issues. “…the subject article us trying to cover the main focus of the world to unrelated and factually incorrect allegations.” The airline also demanded that the said article be recalled and an apology issued with the correct facts. 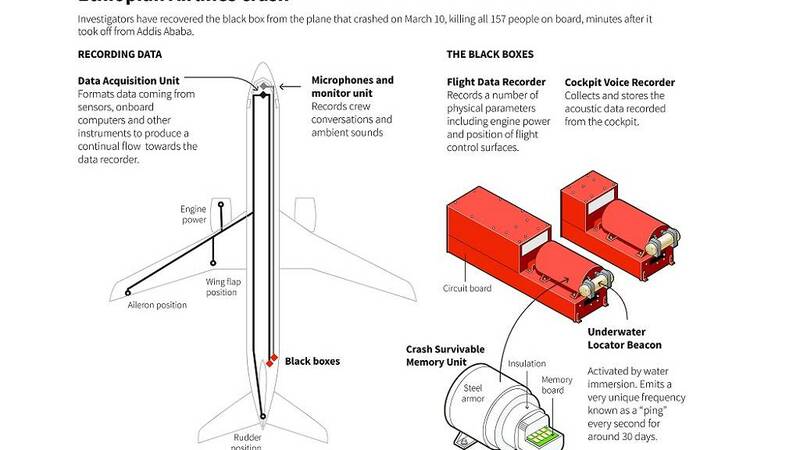 From the day of the unfortunate plane crash (March 10) through to the retrieval of the black boxes (flight recorders). Then the acceptance of French authorities to help download the information contained along with European and American experts. 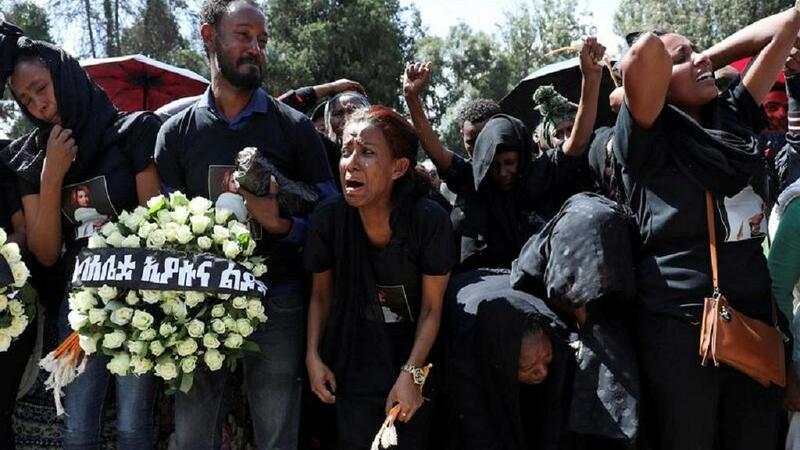 The content of the black-boxes have this week returned to the Ethiopian capital Addis Ababa. The next leg of a keenly watched investigation process is analysing the downloaded data. The Bloomberg portal reports that experts seized with the matter are gathering in Ethiopia to ascertain the exact cause of the ET302 crash in Ethiopia’s Bishoftu. Bureau d’Enquetes et d’Analyses, BEA, the Paris-based civil aviation safety body that helped download the data said it was sending three investigators to help in the process even though all analysis was to be carried out by Ethiopians. 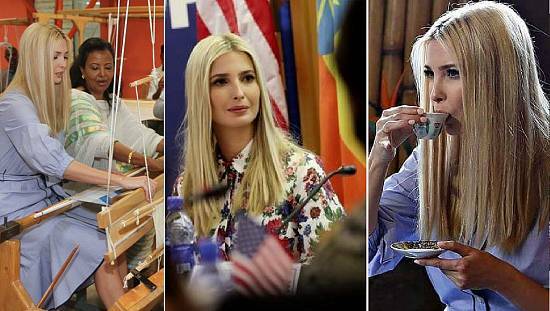 Aside the Ethiopian and BEA teams, experts from the United States’ Federal Aviation Authority, FAA, the U.S. National Transportation Safety Board and plane manufacturer Boeing have also been invited to partake. Pressure has over the past week been mounting on Boeing after the crash. In a matter of days, the world grounded all of the Boeing Max 737 8s that were in operation. The company’s shares also tumbled on the stock market. Boeing is currently the subject of federal investigations along with its regulator, FAA, who have partly been blamed for doing a poor job in the certification process of the now controversial jets. The Ethiopian crash came five months after a similar one suffered by Indonesian operator Lion Air, that flight had 189 people on board. Initial commentary have suggested that there were clear similarities between the two accidents. Initial results of the Ethiopian crash is expected in 30 days. On Tuesday (March 19) the U.S. government ordered the aviation regulator to conduct an audit of the Boeing 737-Max 8 jets as part of efforts aimed at identifying the cause of recent plane crashes. The March 19 order was contained in a memo issued by Secretary Elaine L. Chao and directed at the FAA’s Inspector General. Meanwhile a Reuters news analysis shows that the airline remains in the good books of travellers and its business partners in the wake of the March 10 incident. The airline has confirmed that its bookings and scheduling has remained stable post March 10. International lenders and African partners also said relations were normal. Ethiopian air crash investigators have returned to Addis Ababa from Paris where they had reviewed the black box data from a doomed Ethiopian Airlines jet, two sources familiar with the investigation told Reuters on Tuesday. Data from the cockpit voice recorder and the flight data recorder is now in Addis Ababa, one of the sources said on condition of anonymity. The crash of the Boeing Co 737 MAX 8 airliner last week killed all 157 people on board and prompted regulators to ground the model pending more information from the investigation. Ethiopian Airlines have reportedly frozen all its orders for the Boeing 737 Max jets. The Addis Ababa correspondent for Bloomberg said the move was pending the probe from crash of ET302. The journalist quoted a spokesperson as confirming that Ethiopian’s remaining orders for Boeing aircraft will depend on preliminary results of investigation report expected within 30-days. This is the latest move of the Airline around the beleaguered planes. They were the first to ground all the models a day after the incident which claimed 157 lives. Most Airlines followed suit whiles countries around the world also closed their airspaces to the plane. Eventually the US govt and the regulator agreed to ground the jets. 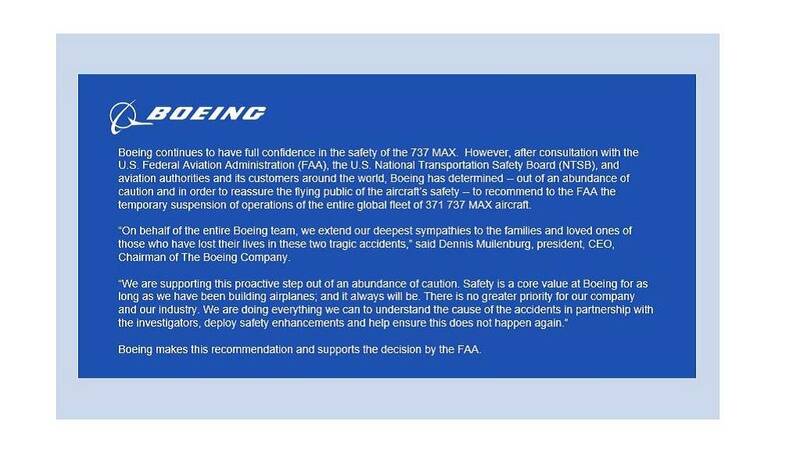 A decision Boeing said they agreed with. Boeing Chairman, President and CEO Dennis Muilenburg issued the following statement regarding the report from Ethiopian Transport Minister Dagmawit Moges today. First and foremost, our deepest sympathies are with the families and loved ones of those onboard Ethiopian Airlines Flight 302. Boeing continues to support the investigation, and is working with the authorities to evaluate new information as it becomes available. Safety is our highest priority as we design, build and support our airplanes. As part of our standard practice following any accident, we examine our aircraft design and operation, and when appropriate, institute product updates to further improve safety. While investigators continue to work to establish definitive conclusions, Boeing is finalizing its development of a previously-announced software update and pilot training revision that will address the MCAS flight control law’s behavior in response to erroneous sensor inputs. We also continue to provide technical assistance at the request of and under the direction of the National Transportation Safety Board, the U.S. Accredited Representative working with Ethiopian investigators. 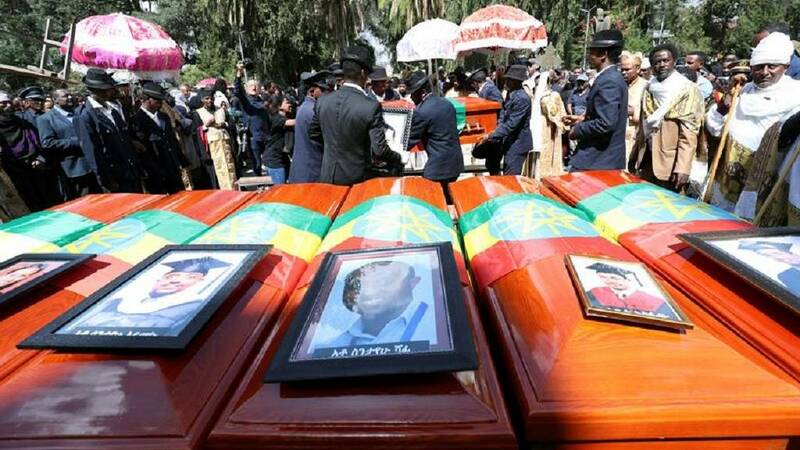 A burial service was held today (March 17) for victims of the March 10 crash that claimed 157 passengers in the Ethiopian town of Bishoftu. Family, friends and other mourners converged for the burial ceremony of the crash victims at the Holy Trinity Cathedral Orthodox church in Addis Ababa. Technical investigations into the cause of the accident is currently underway in France. Data from the black boxes have been downloaded and a team of European experts are supposed to work on them. ⚠️?? 03/10 accident to the #Boeing737Max BoeingAirplanes flyethiopian / Data from the CVR has been successfully downloaded by BEA_Aero and transfered to the Ethiopian investigation team / communication on their behalf / BEA_Aero did not listen to the audio files. Ethiopian Airlines said on Saturday that DNA testing of the remains of the 157 passengers on board flight 302 may take up to six months as it offered bereaved families charred earth from the plane crash site to bury. The return of remains – most of which are charred and fragmented – would take up to six months, the papers said, but in the meantime earth from the crash site would be given. U.S. president Donald Trump has praised the Ethiopia national carrier in a call with Prime Minister Abiy Ahmed on Friday. Abiy’s office said the two had spoken in a phone call which centered on the March 10 crash and on reforms back home. Starting Friday, BEA investigators will try to retrieve information from the cockpit voice and flight data recorders, which were damaged in the disaster. Ethiopian Airlines, Africa’s largest carrier, sent the black boxes to France because it does not have the equipment to analyze the data. The information that they contain helps explain 90 percent of all crashes, according to aviation experts. The first conclusions could take several days. The crash-proof housing on the data recorder appeared to be intact but the voice recorder, which should have picked up the conversations between the pilots and between the pilots and air traffic controllers, appeared damaged at one side, according to pictures released by the agency. On Wednesday, US authorities said new evidence showed similarities between the Ethiopia crash and that of a Lion Air flight in Indonesia in October that killed 189 people. According to the flight data recorder, the pilots of Lion Air Flight 610 struggled to control the aircraft as the MCAS repeatedly pushed the nose down following takeoff. The captain of Ethiopian Airlines Flight 302 requested permission to return to Addis Ababa airport three minutes after takeoff as it accelerated to abnormal speed, the New York Times reported. All contact between air controllers and Flight 302 to Nairobi was lost five minutes after it took off, a person who reviewed air traffic communications told the newspaper. Within a minute of the flight’s departure, Captain Yared Getachew reported a “flight control” problem as the aircraft was well below the minimum safe height during a climb, the newspaper reported, citing the source. After being cleared by the control room to turn back, Flight 302 climbed to an unusually high altitude and disappeared from radar over a restricted military zone, the source added. The world’s biggest plane maker, Boeing announced on Thursday it was suspending deliveries of its op-selling 737 MAX as French investigators took delivery of the black boxes from the Ethiopian Airlines crash that killed all 157 passengers and crew. France’s BEA air safety agency confirmed it has received the black box recorders from the plane, which was just four months old and crashed minutes after takeoff from Addis Ababa on Sunday. Hours after France confirmed that it was available to analyze the black boxes from the crashed Ethiopian airline jet, investigators from Addis Ababa arrived in Paris with the boxes. Work on the materials will be handled by the accident investigation agency, BEA. 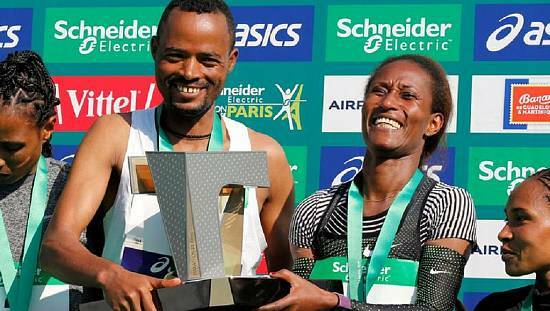 Ethiopian had on early Thursday confirmed that France had opted to help with the analysis. The United States transport safety board have also sent three investigators to France to assist with the downloading and analysis of the information contained in the boxes. Meanwhile, Reuters is reporting about a standoff in Addis Ababa where families of victims stormed out of a meeting with the airline. They were protesting what they said was lack of timely information from the airline. Most of them had visited the crash site in Bishoftu to pay their respects to departed relations. France’s air accident investigation agency BEA will analyse black-box flight recorders from a Boeing 737 MAX 8 which crashed near Addis Ababa on Sunday, a spokesman said. Ethiopian Airlines said earlier it would send the two cockpit voice and data recorders abroad for analysis. The BEA is one of the world’s most active air crash agencies alongside the National Transportation Safety Board of the United States and has laboratories at its Le Bourget headquarters. Three days after the accident in Ethiopia and in the wake of global ‘blacklisting,’ the United States says the manufacturer will be ordered to ground all Boeing 737 Max 8 and 9 jets. Industry experts had long speculated that it was only a matter of time before the US Federal Aviation Administration, FAA, made the order. the production. It has said in a recent statement that it respected the FAA’s latest decision. Ethiopia lacks the forensic capabilities of other countries, a spokesman for Ethiopian Airlines said on Wednesday, explaining that the black box voice and data recorders recovered on Monday would be sent overseas for analysis. What is the black box or flight recorder? It is basically an equipment that records information about the performance of an aircraft during flight. “There is no capacity here so the black box will be sent elsewhere for analysis. The investigation team will decide where,” the spokesman told Reuters. Reuters later confirmed that the European destination in question is Germany. U.S. officials said the black box devices suffered some damage but they were confident of some initial results within 24 hours of the data being downloaded. Ethiopian Airlines CEO Tewolde Gebremariam told the BBC on Wednesday, that he believes Boeing Co should ground all of its 737 MAX 8 jets until it is established that they are safe to fly. Ethiopian Airlines on Monday grounded its remaining fleet of 4 737 MAX planes after Sunday’s fatal crash. Several other airlines all over the world have grounded this model of the plane, citing similarities between the March 10 Ethiopian Airlines crash and the Lion Air crash in October last year. In the aftermath of Sunday’s crash, which was the second involving the Boeing 737 MAX 8 within a space of six months, several airlines have grounded their fleets of the same plane model, while countries have banned the 737 MAX planes from operating in their airspaces. Reuters calculations show that as of Wednesday morning, about two-thirds of the 371 Boeing 737 MAX planes operating in the world have been grounded. Adding to the pressure on Boeing, Norwegian Air said it would seek recompense for lost revenue and extra costs after grounding its 737 MAX aircraft. “We expect Boeing to take this bill,” Norwegian said in an emailed statement to Reuters. With no link proven between the two crashes, however, the United States has bucked the trend and allowed 737 MAX planes to continue operating even though Europe has suspended them. Of the top 10 countries by air passenger travel, all but the United States and Japan have halted flights of the 737 MAX. The EU, China, Indonesia, Singapore, New Zealand, Australia, Malaysia, India and others have temporarily suspended the plane. Boeing, the world’s biggest planemaker, has said it retains “full confidence” in the 737 MAX. Its shares fell 6.1 percent on Tuesday, bringing losses to 11.15 percent since the crash, the steepest two-day loss for the stock since July 2009. The drop has lopped $26.65 billion off Boeing’s market value. CEO of Ethiopian Airlines, Tewolde Gebremariam, paid a visit to the Bole International Airport in Addis Ababa. Operations were continuing as normal with workers and passengers going through their usual routines. 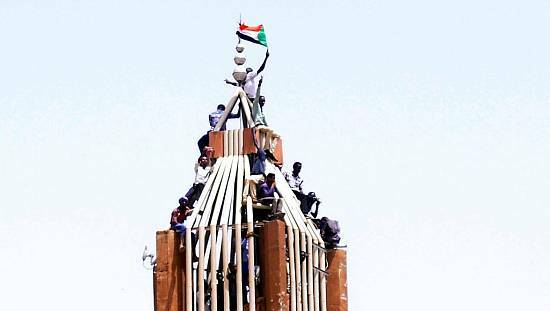 Gebremariam was very much in the forefront of events on March 10 when the incident occured. Visiting the accident site and later giving a press conference to update the general public on the extent of the accident at the time. One photo that became defining during his visit showed him holding a part of the crashed plane at the site. It was Bulletin No. 2 in which the airline confirmed that all aboard the ET 320 had perished. Investigators are trying to determine the cause of the plane crash in Bishoftu on Sunday, there are local and international experts involved in the process, reports have suggested. Aircraft manufacturing company Boeing, announced a technical team which has since arrived on site of the Ethiopian Airlines flight that killed 157 people to provide technical assistance. The Prime Minister’s office on Monday sent out one message on social media in relation to the incident of 24-hours prior. And it was a message of appreciation for the global solidarity that Ethiopia – government and airline got. Most of the messages of support were posted on Twitter aside the likely flooding in of diplomatic cables. A key technical part of the plane, the black box, was retrieved by a search and rescue team that was dispatched to the site hours after the incident. There is a coordinated local and international response on the ground to help uncover the mystery that led to 157 lives perishing in a swoop. The Airline and other responsible state outfits like the Federal Police and Transport Bureaus have been joined by experts from across the world, from the Kenya, South Africa, United States, Israel and INTERPOL among others. Manufacturer Boeing also is an integral part of the team. A key plank of reportage on accidents in recent times is a focus on the victims, even perpetrators. Social media in part did a great job of helping get profiles of victims a announcements were routinely made by families or employers. Some governments also named their nationals via social media as was the case with Russia, Nigeria. The accident thrust the issue of flight safety to the fore. The figures show that the carrier had an impeccable safety record with industry players and people on social media mounting a robust defence. One of the earliest to give Ethiopian a pass mark was Alex Macheras, who has since Saturday been busy giving perspectives to multiple media outlets regarding the ET302. Claiming FlyEthiopian is an airline with a “poor safety record” because of hijacking attempts over last 20 years is irresponsible. Boeing and maybe insurers of Ethiopian Airlines will be one of the most concerned entities in these times. The manufacturer has been under serial pressure in the wake of the crash. Its shares have plummeted but more worrying is the impact on continued usage of the particular jets. Close to a dozen carriers – Ethiopian being the first – have grounded all their 737 Max8 jets. It turns out that it is the second deadly crash involving the same make of plane in five months. The first was when a Lion Air flight also crashed and claimed lives in October 2018. In 2010, its passenger jet crashed into the Mediterranean Sea shortly after taking off from Beirut. 90 people were lost in the incident. In 1996, 123 out of 175 persons on board a flight were killed after its plane was hijacked. One of the engines stopped when the flight run out of fuel. An attempt at emergency water landing led the plane to hit a coral reef resulting in the losses. Back in 1988, a departing plane struck a flock of pigeons and crash-landed as it returned towards the airport. 31 lives were lost. In effect the March 10 accident becomes the worst in the company’s 74-years of operation. It was founded by Emperor Haile Selassie and is one of the crown jewels of the economy. 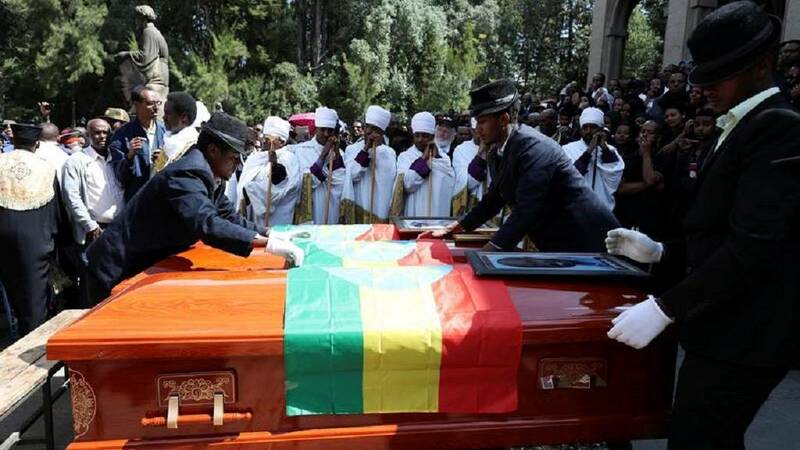 The Ethiopian government declared a day of mourning on Monday, it was observed with flag flying at half-mast. Solemn and sombre moods were also captured in Addis Ababa where friends, family and acquaintances even strangers gathered to observe a memorial. Tears, emotions and shared grief enveloped the venue. Same was the case over in Nairobi at the opening of the UN conference as a minute silence was observed in memory of the departed. 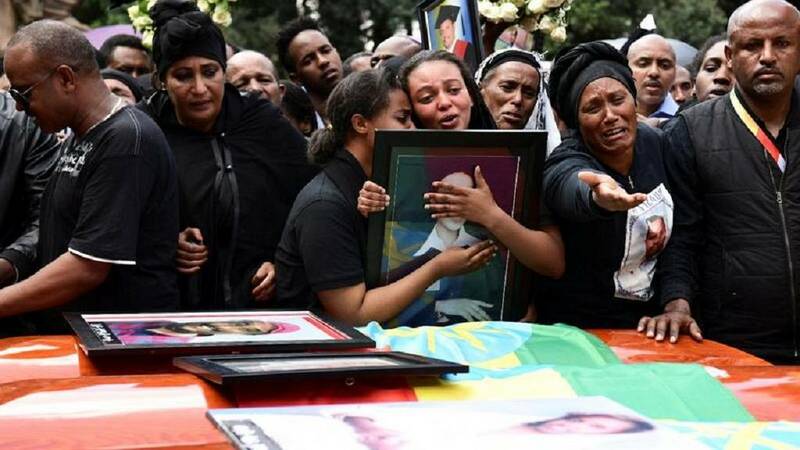 PHOTOS: Ethiopian Airline crash – Emotional memorials in Addis Ababa ??? 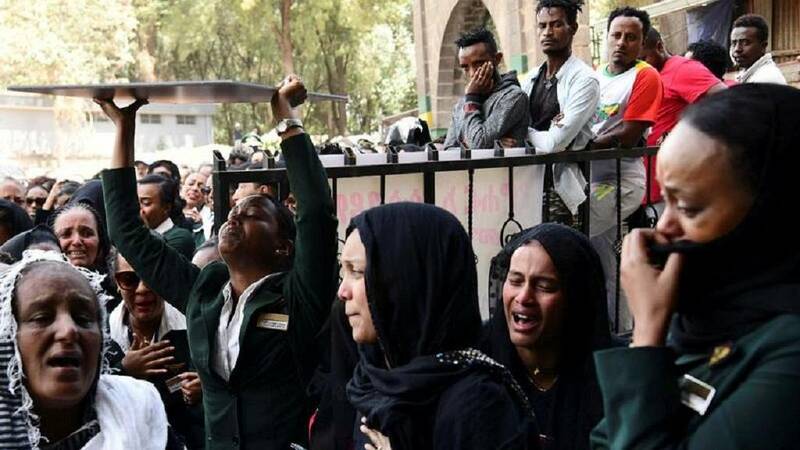 Social media proved decisive in the wake of the Ethiopian Airline crash of March 10, 2019; as government through the Prime Minister’s office and the airline coordinated official response with disarming effect. By close of day, the two entities had issued just about a dozen messages on Twitter but the content these messages carried were enough to fully inform of and assure of appropriate measures going forward. The PM’s office issued three tweets in all against the Airline’s seven yet the media had seemingly been given enough on the incident by close of day March 10. On Sunday, March 10, 2019; African leaders united – this time not with the usual words of electoral congratulations or condemnation of terrorism but more over words of commiseration and brotherly support in a hard time. This was after the Addis Ababa – Nairobi flight crashed in the early hours of Sunday morning. The incident had become the biggest global news item of the day – by a stretch. The death toll had Kenya topping as the most affected nation with 32 citizens overall. Other African nations lost citizens as did the United States, Canada, Slovakia etc. I am profoundly saddened by the news of the crash involving flyethiopian, one of the world's most successful and efficient Airlines. On behalf of the Govt & people of Nigeria, I extend sincere condolences to PM Abiy Ahmed of Ethiopia, and to all the countries that lost citizens. Our heartfelt condolences to the families and loved ones of those who lost their lives on the Ethiopian Airlines flight from Addis Ababa to Nairobi. We stand with Prime Minister Abiy and the people of Ethiopia. Our thoughts are with you. I have, with sadness, received news about the crash of the Ethiopian Airlines flight which was destined for Nairobi from Addis Ababa. On Uganda's behalf, I send heartfelt prayers and condolences to all those affected by this tragedy. The basic facts are as follows: The flight had left the Bole International Airport in the capital Addis Ababa. It was heading for the Jomo Kenyatta International Airport in the Kenyan capital, Nairobi. Why Addis Ababa and Nairobi: In the wake of Ethiopians rise and rise as Africa’s biggest carrier, the Bole International Airport plays a crucial role as hub from where most Ethiopia flights connect with the world. Nairobi on the other hand hosts the United Nation’s biggest office in Africa. It is also a big conference destination and was billed to host the UN environment confab. 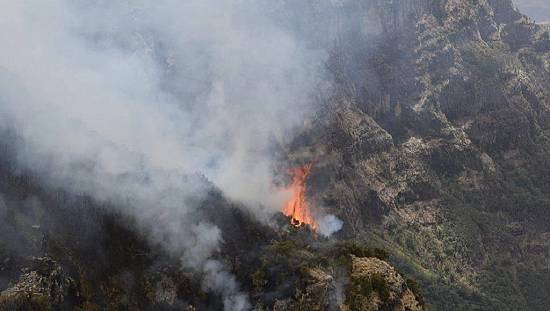 It crashed only six minutes after take-off in the town of Bishoftu in Oromia region. Hours on, it was confirmed that all passengers (149) and crew (8) were killed in the incident. A melange of passengers were aboard the flight – from humanitarian workers to professionals on their way to a United Nations Environment summit holding in Nairobi. Since then the following issues have come up: identification and naming of victims, plane manufacturer Boeing under multi-pronged pressure, the world continues to solidarize with Ethiopia and all affected. Captain with 8000 hours flying time – does death care? The airline currently flies to over 50 African cities in what is the largest network by a national carrier. It is also in talks to help about a dozen African countries to establish and manage their carriers. Ethiopian – a member of the Star Alliance group in its seven decades of operation has become one of the continent’s leading carriers in terms of efficiency and operational success. They command the lion’s share of the pan-African passenger and cargo network operating the youngest and most modern fleet to 95 international destinations across five continents. It is the first African operator to take delivery of the Boeing 787-9 dreamliner. Its operations have transformed the Bole International Airport in Addis Ababa into a continental hub.